This page is about the self-propelled anti-aircraft vehicle Chieftain Marksman. For other uses, see Chieftain (Family). The Marconi Electronic Systems Chieftain Mk 5 Marksman (shortened to Chieftain Marksman) is a Rank VI British self-propelled anti-aircraft vehicle with a battle rating of 8.0 (AB/RB/SB). It was introduced in Update 1.79 "Project X". 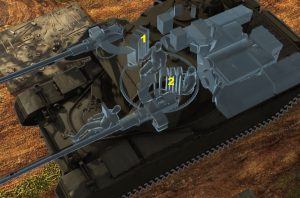 The Marksman looks like Chieftain tank hull with giant boxy turret in middle of it. The turret has a radar on the back of it and clearly visible handles with cannons on its front. The front has distinctive double slope. There is no other such turret in game and so it is very easy to identify. Like the Falcon, the Marksman's role is hiding around the battlefield, shooting at planes and punishing unsuspecting ground opponents, however it is much slower so it does its job from about kilometer away, or further if possible. Radar allows it to have an aiming reticle against incoming planes in RB. The reticle works the same way as in AB, however it doesn't say how far away the plane is. Since Update 1.87 "Locked On", radar also allows you to lock your turret to follow a specific target (the one closest to your targeting reticle) and to see a "true" targeting reticle, which will guarantee a hit up to 3km range and, on some occasions even further, even if you don't have any modifications, unless the enemy aircraft changes course. It is very important to change the keybinding of the radar lock key (default "alt + f"), as radar won't reliably lock on to targets, due to "mouse pointer" mode from "alt" button. If you want to use radar to specifically try and "find" a target that is too far away for you to see, you can try to stop radar dish by using "change radar search mode" (not bound by default) and specifically look towards the direction you expect them to come from (the enemy airfield, for example). If your turret happens to detect them, they will appear on your radar screen, and you can target them. However, the use of this option is severely limited due to the fact that planes rarely move in a straight line, so even if you try to snipe them from 4km range, it will likely result in a miss, so the default search mode is generally better. You can snipe ATGM helicopters now. However, do not waste ammo on helicopters that move around a lot, even radar cannot predict their dodges from this far away. The play style is much less aggressive than the Falcon; however, the APDS belt is no joke, as every shell in it can penetrate about 100 mm of armour up to 500 meters and up to 60 mm at 2000 meters at 30°. 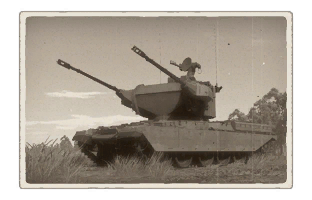 As such, weaker side armour on most rank 5+ vehicles of all nations can be threatened by the Marksman from almost any range, and it only brings much more pain to light vehicles from afar. Only Soviet tanks have decent enough armour on nearly all vehicles to negate its firepower in optimal weapon range. It may feel like the guns are similiar to the Falcon's when you fire them but due to them being 35 mm you can tear off plane wings even in one hit, and you can hit them even with stock gun easily from 1.8 km range without wasting too much ammo. Guns have convergence of about 1.5km (more or less, depending on "adjustments of fire" upgrade), which makes them better for leading targets, but also wasting some ammunition in process, and making vehicle weak at closer ranges. Guns still overheat in 10 seconds and can put the Marksman out of fighting capability for half a minute. Luckily, it's hardly necessary to go trigger happy with the Marksman's accuracy and you can change belts to instantly unjam the cannons. The Chieftain chassis makes this SPAA invulnerable to hull breaks and protects it fairly well against frontal attacks by light vehicles. The turret protection is not great, but it will stop most heavy machine gun fire at close range. It is almost like the FV4005 with slightly more armour on turret. Do not show the lower front plate to the enemy's tanks, as it's considerably weaker. Despite having better armour for hull, the Marksman is extremely slow for it, so keeping the enemy away from this vehicle is the key to making the most of the armour you have. 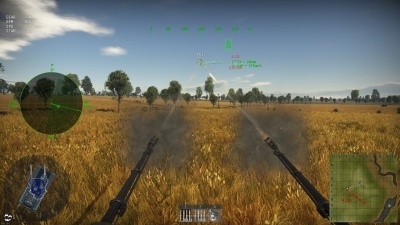 The vehicle can be taken out by attacking the turret: Firstly the enemy does precise shot at the bottom-left (vehicle's right) of the turret to take out the gunner, then fires at the opposite to take out tank commander. It's also easy to destroy your turret with chemical rounds. 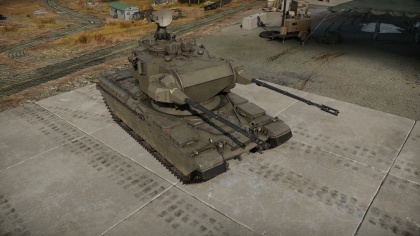 Your turret may tank 20mm auto cannon shots, but only at about 1.2 km range, which is an acceptable duel range for the Marksman. Any non-stock combat SPAA's and light tanks, though, will breach it with no effort even from 3km away. The speed of Marksman is very low. It barely can turn around and you can't use speed against enemy, due to its poor hp/ton ratio. If you keep moving forward without changing direction, you might eventually reach 40km/h on flat terrain. Marksman has an extremely fast turning turret, so any incoming plane or light vehicle can be targeted fast. Guns converge at about 1.2 km range without "Adjustments of Fire" modification and about 1.8 km with it. This makes firing at close range enemy vehicles very impractical, due to low ammunition count. However, it's very convenient for firing at moving targets, including light tanks and jets, as if two separate autocannons increase the probability of a hit. The guns can disable both tracks of enemy vehicle at once at 300 m distance, if facing enemy's front. This allows you to escape and ask teammates to finish off the threat. Since the guns are 35 mm, they also deal more damage than 30 mm of previous generation SPAA, use the explosive ammo to destroy planes in about 1 to 2 hits, lightly armoured vehicles get destroyed in about 30 shots at worst. 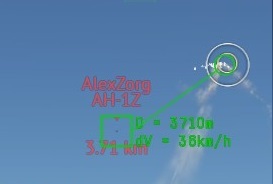 Note: HEI-T does no damage to armoured targets, but critically damages planes. Ammunition belts are split into 2: main one and secondary one. The Marksman can take 460 shells for main belt and 40 for secondary, which is barely enough for 1 engagement. This may be insulting, but it's necessary for survival. Unlike the Falcon, when ammo for the main belt runs out, this could be reloaded at a capture point while the secondary belt of pure anti-air or anti-armor rounds can be used as self-defense. Also, there won't be a need to reload a new belt once the ammo restock is complete, so the Marksman is ready to fight quicker. The other thing with ammunition belts is that its APDS belt is now purely APDS. This makes decision about secondary belt being fully anti-tank or fully anti-air ever more annoying and affecting your playstyle. You can only reload one belt at once. Your secondary belt rearms in about 5 seconds, while your main belt rearms for about 45 seconds. Thus, your playstyle is majorly dictated by how far from the capture point you are. The Chieftain Marksman is equipped with a Marconi S 400 search and tracking radar, mounted on top of the turret, at the rear. The radar system lacks track while scan, but can track targets in a full 360° area around the turret (instead of just to the front of the turret). The radar is not folded when powered down. Follow the team's push and take some nice fortified position with sight on the capture point, destroying any scout vehicles that attempt to get close while looking for planes. Conducting both actions at once is crucial to not only deny the enemy a recon point, but also for self-preservation to keep the Marksman protected. Fighting at a distance will be best to minimize convergence distance to avoid wasting ammunition on the lead. Vertical traverse of cannons is almost instant, so that should not be a concern when shifting from a ground to air target. As the main belt's ammo runs out, move closer to the capture point to rearm. With this tactic, use the secondary belt only for self defence on the capture point, or if it's really necessary for a teammate's survival. Alternatively, you could go straight for capture point defence and unload secondary belts onto every passing plane, light tank, SPAA and poorly armoured MBT, then immediately rearm. Since your guns convergence is 1-2km depending on upgrades, there is little chance that any vehicle which is travelling in straight line can dodge your double cannon lead. However, don't expect to successfully push away medium tanks, if your belt isn't APDS, and it's very likely that the enemy's return fire will heavily damage you, as capture points rarely provide any cover, so move out and use your main belt, when forced to. In arcade mode your combat ability is severely limited, due to maps being 2x2 km wide at best, so you could try to train your crew with very high "keen vision", then try to camp enemy base entrances across the map, using the fact that your shells have little penetration falloff over distance and slight armor angling. This would require great map knowledge, though. As soon as enemy planes or attack helicopters appear, destroy them. Using radar-assisted aim is advised (since it's more accurate and can lead to hits at over 3km range). To conserve ammo, however, do not just blindly follow it, as arcade mode aircrafts tend to dodge direct shots - do some short bursts around it. Soviet tanks: Avoid them as much as possible. With the gun convergence and reduced movement speed, it will not be easy to defeat them in a duel. Detrack them and communicate with teammates to finish them off. Maus: It's invulnerable. Best not to show up in parts of that map it controls. Radar makes hitting passive pilots extremely easy, and in Realistic Battle you can take them down with just 1 hit of explosive ammo. Even if it doesn't look like fatal hit, it can eventually force plane to crash. In arcade mode radar guidance ensures you won't need to spend your entire ammunition trying to take down one bomber or ATGM helicopter. Can fire effectively at longer ranges than Falcon and has radar guidance on top of that. With the development of more effective modern weapon systems, deployed from aircraft capable of flying at very high speeds and low altitudes, mobile ground troops were more susceptible to air attack than ever. The British Marconi Electronic Systems company came to the same conclusion during the early 1980s and began independently developing the Marksman project after realizing how little work was being done in the field of modern SPAA development. The concept of the Marksman project wasn’t the development of an entirely new vehicle, but rather of a modern anti-air platform that could be fitted to a wide range of suitable military vehicles, even non-British ones. Naturally, the platform had to be capable of dealing with the most modern threats, such as high-speed attack aircraft and helicopters. In order to achieve this, Marconi engineers gave the Marksman a highly advanced radar detection and targeting system and paired it up with twin 35mm Oerlikon KDA cannons in a similar fashion as found on the German Flakpanzer Gepard. The testing of the first construction prototype was done on the chassis of the Chinese Type 59 tank. This decision was primarily made in an effort to optimize the platform for use on similar Chinese machines in order to attract potential customers using Chinese vehicles. In 1984, further tests were conducted, only this time around, using chassis of British vehicles such as the Centurion, Chieftain and Challenger 1. However, in order to further increase the number of vehicles that could potentially fit the Marksman platform, Marconi developed several adapters that allowed the platform to be fitted on hulls with a turret ring diameter smaller or in excess of 1840mm. However, as even newer, more capable aircraft weapon systems were developed during the ‘80s which could easily destroy such SPAAs, the Marksman system became more or less obsolete before it was even deployed. Due to this, the primary expected customer - the British Armed Forces - didn’t show any interest in adopting a conventional SPAA system, such as the Marksman. Only a limited number of Marksman systems was employed by the Finnish army on their ItPsv 90 SPAAs, which were retired from active service in 2010 and replaced with Leopard 2 Marksman conversions which are still in service today.